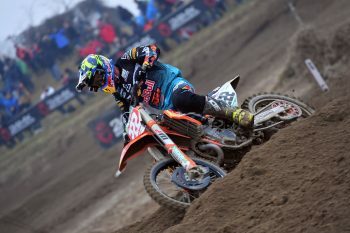 Factory KTM rider earns 11th Italian motocross premier class crown in Mantova. Nine-time world champion Antonio Cairoli wrapped up the 2019 Internazionali D’Italia in Mantova at the weekend, marking his 11th premier class crown in the Italian motocross series. The championship offered up a perfect opportunity for the Red Bull KTM Factory Racing rider to carry out testing in race conditions, playing an important role in his pre-season campaign ahead of the MXGP World Championship. “The Italian championship is always a good series because we have a lot of champions on the line, this year especially with four different world champions,” Cairoli explained. “We had a lot of things to test and the best way to do that was with racing. 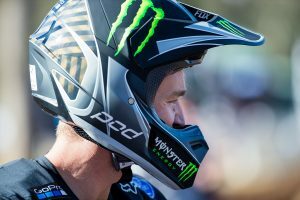 We had a perfect series, except for that first moto today – I was upset with my start. “It was good in one way, and that’s to be able to make some passes and work through the pack and learn about that. This is also good training for the GPs. When we are on the line in the world championship it is a little bit different – everyone is extra motivated and doing their best to keep up with me and Jeffrey. The weekend’s finale at Mantova saw Tim Gajser (Honda HRC) and Romain Febvre (Monster Energy Yamaha Factory Racing) edge out Cairoli in the the MX1 encounter, while Cairoli topped the Superfinal over Max Nagl (KTM) and reigning MX2 world champion Jorge Prado (Red Bull KTM Factory Racing). 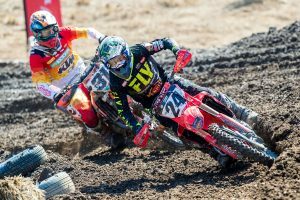 Australian Mitch Evans (Team Honda 114 Motorsport) was 11th in the MX2 race, winding up an impressive ninth in the Superfinal, which sees the top 450 and 450 riders combined. Compatriot Caleb Grothues (SDM Corse Yamaha) battled through illness, however was unable to make it out for racing.